​​It’s been over a month now since we travelled across Australia and New Zealand launching the Enya range. We’ve enjoyed seeing the enthusiasm of those who attended the launches and discussed the benefits to clients of the new ReSound Enya range. We now believe we have the strongest portfolio in the market with our superior LiNX2 family available in levels 5, 7 and 9 and the Enya range available in levels 2, 3 and 4. Of course don’t forget the super power options with the Magna 2 and Magna 4 and a wireless Enzo superpower device is available in levels 5, 7 and 9. Not only do we have the strongest portfolio in the market but we also now have the tools to help you understand the technology and explain the technology to your clients. 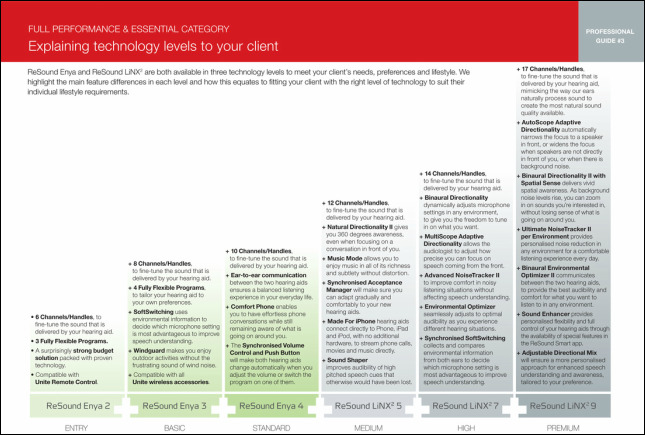 ​We have developed a range of professional guides which highlight the differences in all technology levels. You may also find these helpful to use with clients who want to learn about all the technical information. My personal favorite is professional guide #3 which differentiates all the levels of technology and gives a simple explanation of the key features at each level of technology. ​These guides are aimed at your clients and can be particularly helpful for those clients who struggle to understand technology and just want to know how the device is going to help them. I would recommend talking through each guide and making notes how each benefit shown relates back to their COSI goals. A vertical version is also available if you prefer. ​We of course have the standard Enya DL brochure and Enya product overview you would expect with the launch of every new product, however the new format of the launch materials has been extremely well received so please let us know if you haven’t received a copy and would like one. ​We also now have a brochure to give to relatives who may attend the appointment with your client or you may even wish to give these to clients to take home to their significant other – ‘Help your loved one hear better'. We all know that not all relatives and friends are supportive and understand the difficulties associated with hearing loss so anything we can do to help can go a long way. 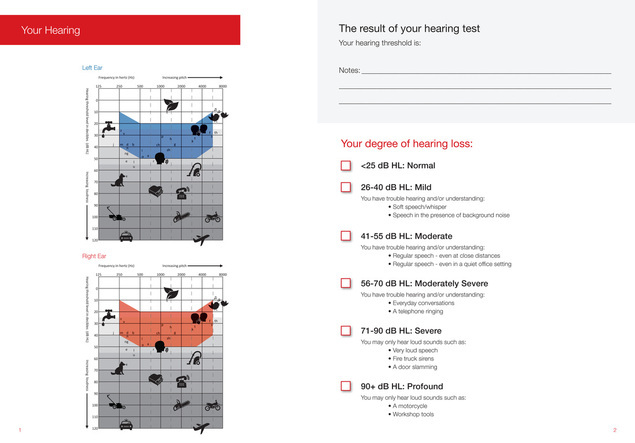 Yet another brochure we have available is the ‘Your Hearing Solution’ brochure. 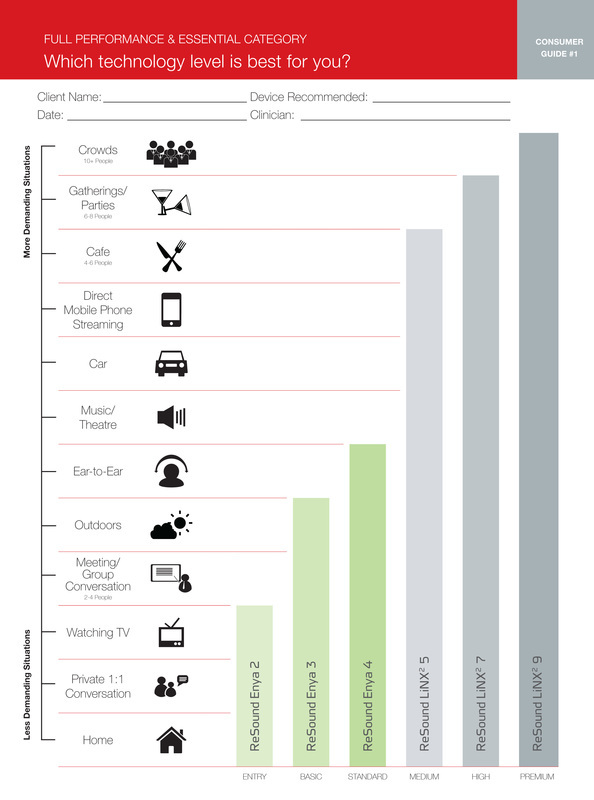 This allows you to explain hearing loss to a client and the sounds they may be missing, the type of hearing loss, hearing device shapes available and differences in technology. It’s not easy to remember everything when you’re a client in an appointment, particularly if you’re still in shock that you’ve been told you need hearing aids. I believe the better informed the client is the more loyal and more likely they will be to wear their hearing devices and continue with your service. 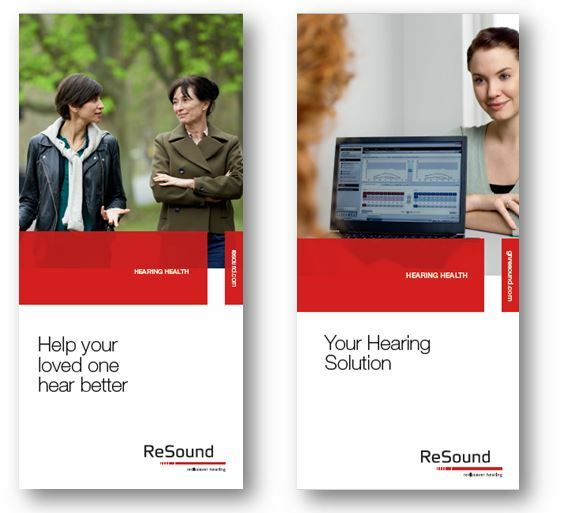 We also have a couple of new DL brochures which will be handy to have available to clients in your waiting room; Resound Relief App ‘Relief for the ringing in your ears’ and ‘Resound Control App’ outlining connectivity and extra options available to them on top of the hearing device solution. ​Finally, I would like to say farewell to my colleagues and friends at both Resound and in the Audiology industry. After five and a half years with Resound I will be finishing at the end of the year looking for new opportunities and challenges. I hope to keep in contact with many of you and thank everyone for their support and laughs over the last few years.